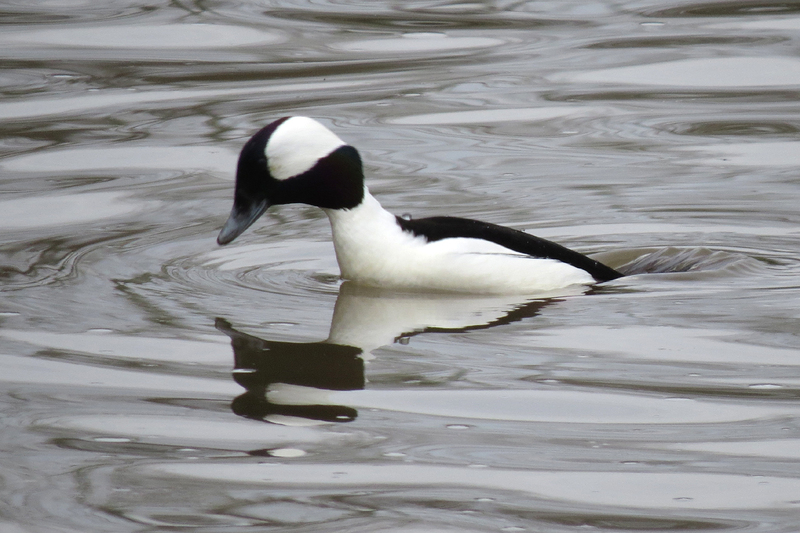 I led my waterfowl class on a field trip to Sauvie Island and Dawson Creek. 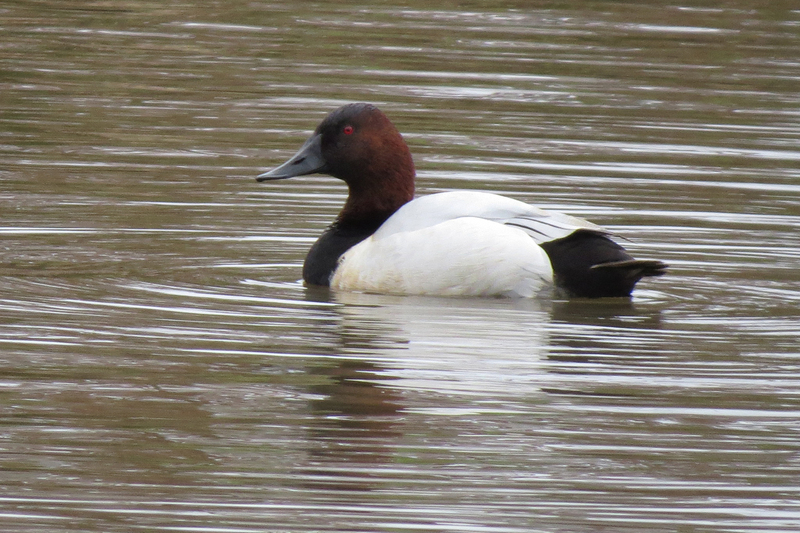 We had a few big misses (Gadwall and Wood Duck) but the diversity was pretty good. 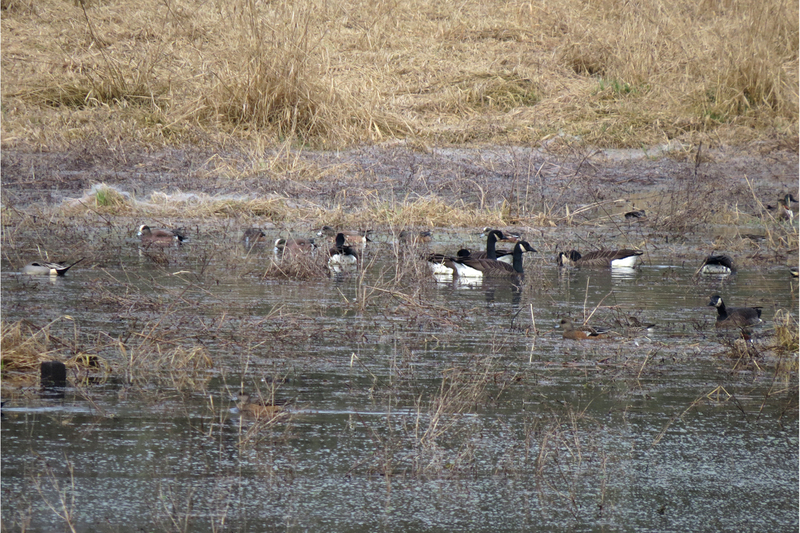 At Wapato Access Greenway we found some Dusky Canada Geese along with the American Wigeons and Northern Pintails. 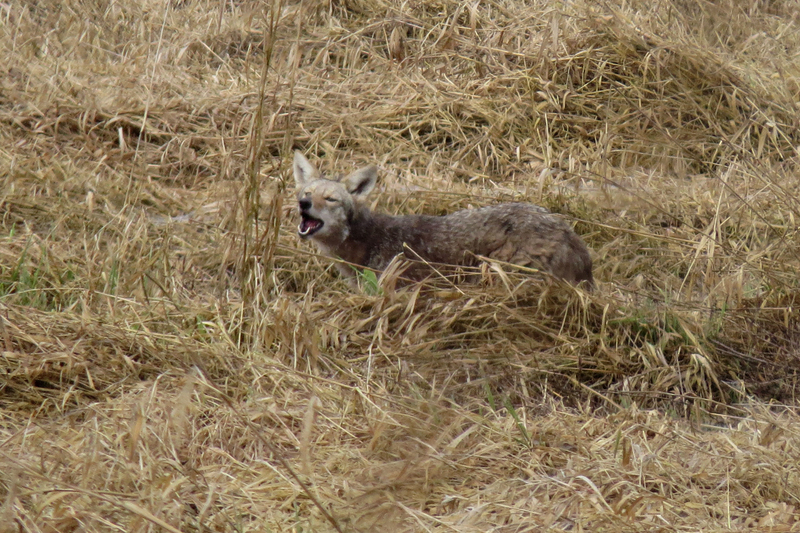 This Coyote was munching on a vole. 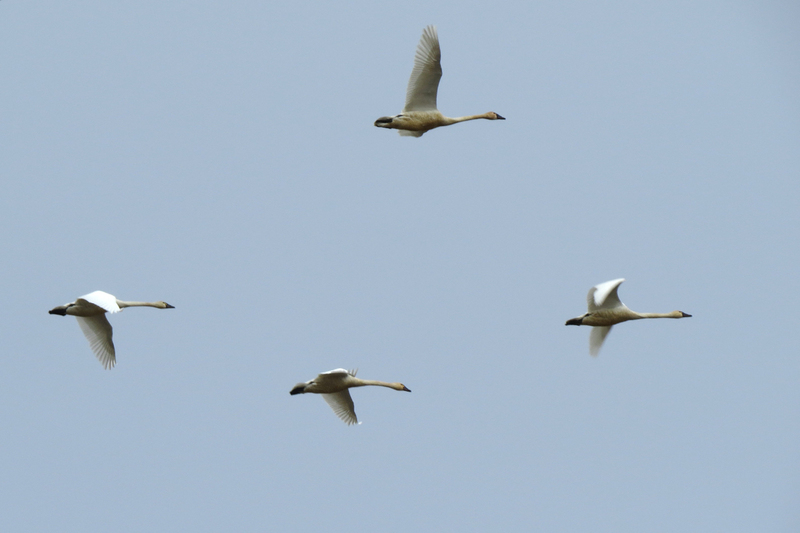 Tundra Swan was one of the most common species of the day. 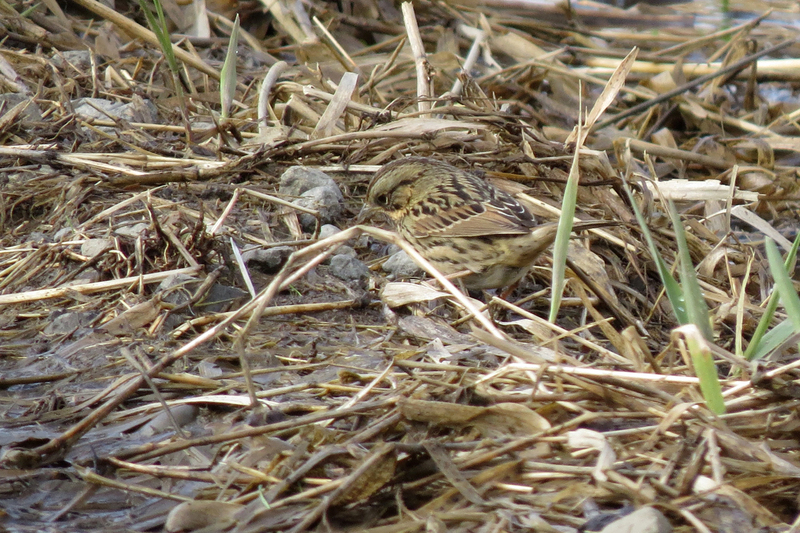 This Lincoln’s Sparrow was very cooperative, posing out in the open for great scope views. 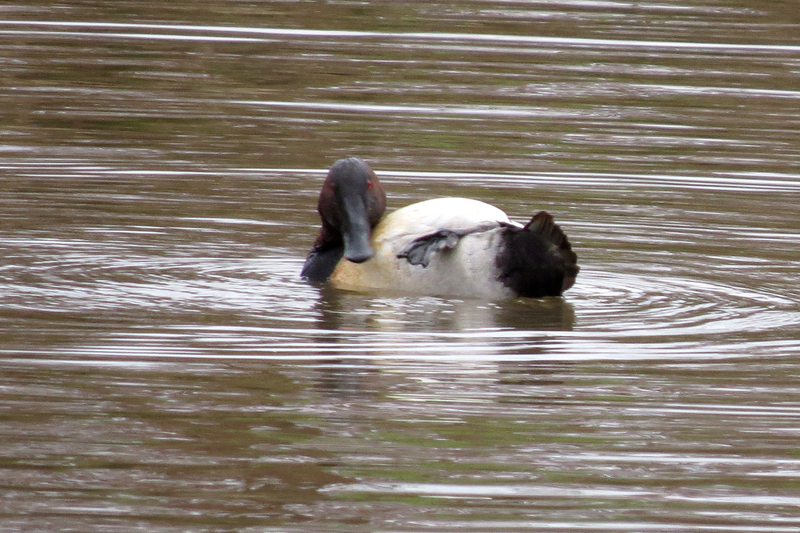 But even then he blended in amazingly well with his surroundings. 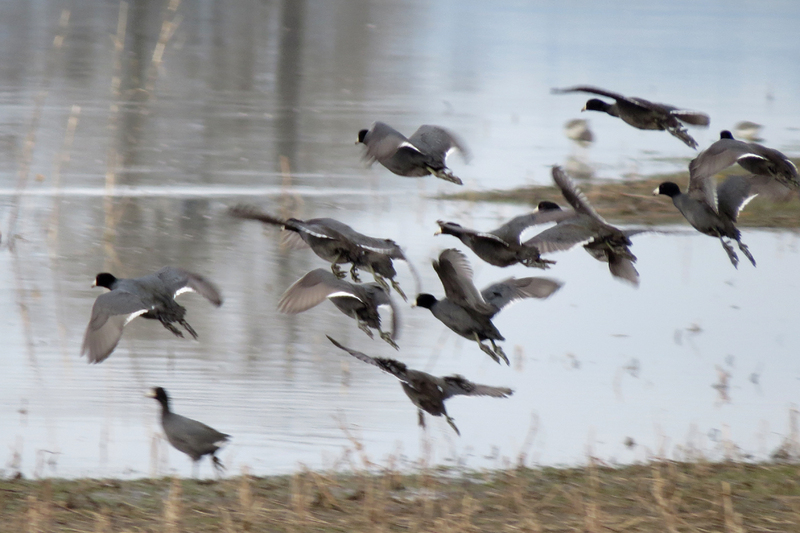 You don’t get to see American Coots in flight very often, as they tend to walk or swim wherever they go. 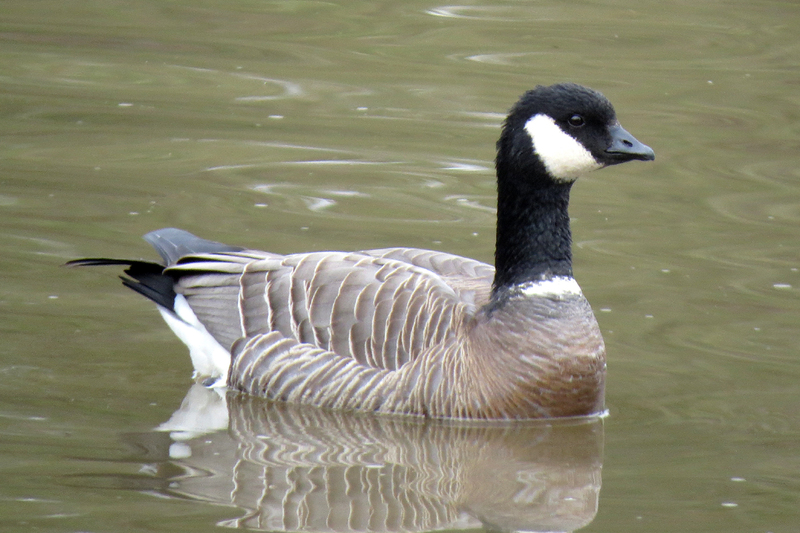 They have even been reported to migrate on foot. 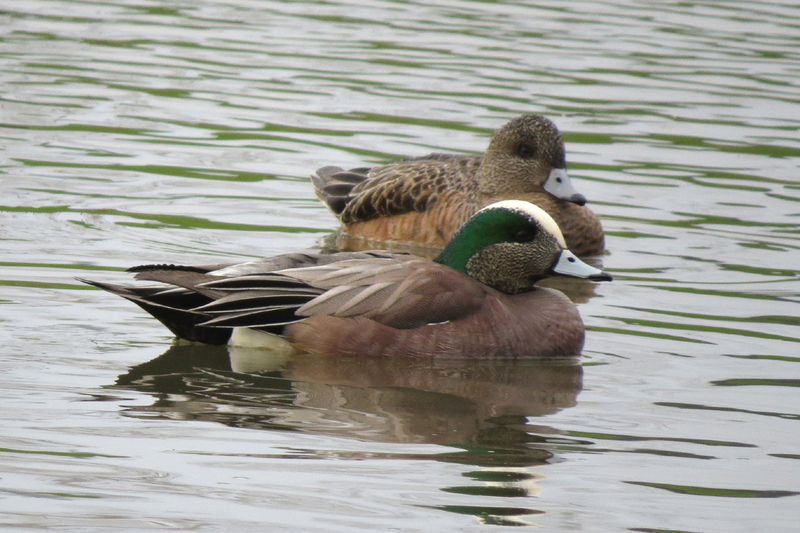 This entry was posted in mammals, OR Birding Sites and tagged American Coot, American Wigeon, Bufflehead, Canvasback, Coyote, Dawson Creek, Dusky Canada Goose, Northern Pintail, Ridgeway's Cackling Goose, Sauvie Island, Wapato Access Greenway. Bookmark the permalink.